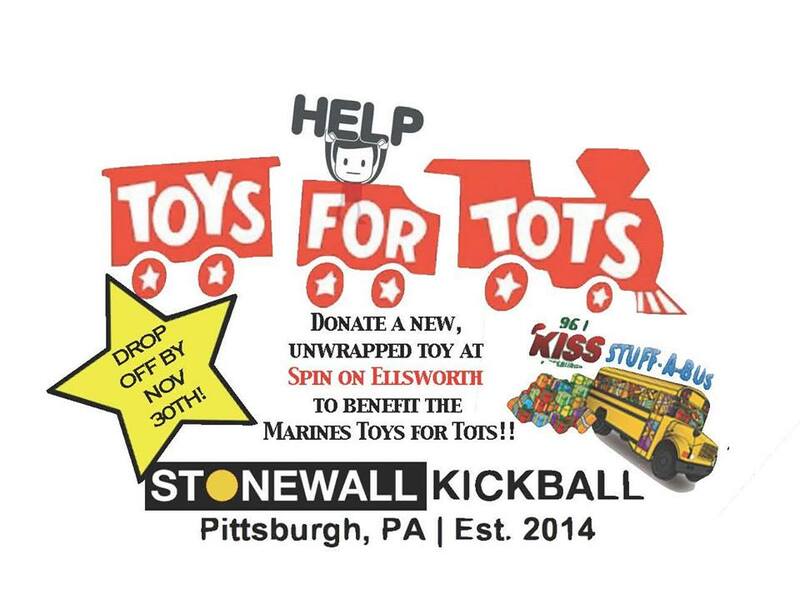 We are collecting toys at SPIN Bartini until Nov 30th for Toys for Tots and for 96.1 KISS – Pittsburgh STUFF A BUS. Bring your unwrapped toy to SPIN and give it to a bartender. Every toy helps out!